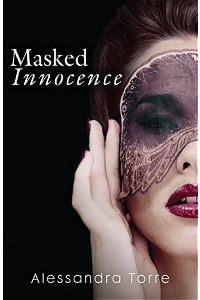 Book: Masked Innocence by Alessandra Torre – kindle edition, 304 pages. Julia Campbell never knows what to expect with win-at-all-costs Brad De Luca. And she’s starting to like it that way. She gave up safe, conventional relationships when she let the elite divorce attorney seduce her into his world. Now that he’s determined to strip her naked of every inhibition, she’s in danger of falling too deep and too fast. But their affair begins to feel even more dangerous when a murder leaves a trail of suspicion that points straight to the mob… and Brad. Trusting a man with a bad reputation and a past full of secrets seems like a mistake. But when she’s forced to make a choice, the consequences will take her further than she could ever have imagined. My thoughts: The first book off the shelf for 2017 was something a little bit different for me, as you could probably tell from the synopsis. I read the first book in this series last year, and was surprised by how much I enjoyed it. 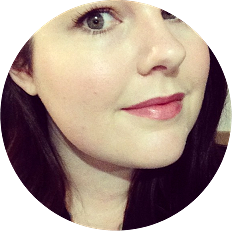 My introduction to Alessandra Torre was through her Deanna Madden ‘Girl in 6E’ series, and after absolutely devouring those I decided to check out some of the other books she had written. Although the majority of what she writes falls more under the chick lit/erotica banner than crime/thriller (which is more my cup of tea), I’ve found that her books are always a lot of fun and I enjoy reading them. Having said that, I didn’t enjoy this book as much as I enjoyed the first in the series. I’m not sure if it was because it wasn’t as new and fun to me as the first book was, but I felt like it fell a little flat. I found the protaganist in this book quite grating, and I’m not sure if that was because she made some terrible decisions throughout the book, or because I’m not a fan of “sassy” characters in general. The ‘hero’ in the book was also far less appealing to me than he was in book one. At one point in the story the lines of consent get a little bit blurry, and although I know erotica can push the boundaries in this area I’m still not a fan of the idea in general. Overall I didn’t find this as fun and lighthearted as book one, which was the appeal for me in the first place. I think if you’re looking for an easy read (that’s more than a little bit raunchy), try Blindfolded Innocence; if you’re a fan of that, check this out… just go into it with mid-to-low level expectations.